ONLY VHI CUSTOMERS will have access to VHI SwiftCare Clinics from 1 September. The health insurance provider says the decision was made to ensure its customers had speedy access to the facilities. VHI SwiftCare Clinics are Ireland’s first walk-in, urgent care clinics that provide treatment and advice for patients with minor injuries and illnesses. Director of Marketing and Business Development with VHI, Declan Moran, said “The VHI SwiftCare Clinics introduced to the Irish marketplace 12 years ago have become increasingly popular, to the point where VHI customers have sometimes struggled to access them. “The number of people availing of the service has grown year on year and this has caused us to evaluate how best to deliver services through these popular facilities. In order to ensure that our customers can continue to have speed of access to the VHI Clinics, we has taken the decision to operate the VHI Swiftcare Clinics for our customers only from 1 September 2017. As it stands over 100,000 VHI customers don’t have any cover for its swiftcare clinics but the insurance provider plans to introduce new benefits across all its health plans. The clinics in Dundrum, Swords and Cork are open 365 days a year from 8am to 10pm. 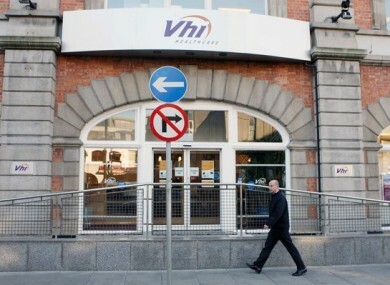 The clinics are now fully owned by VHI Group following the clearance by the Competition and Consumer Protection Commission (CCPC) of the acquisition of the 50% of the VHI Swiftcare Clinics previously owned by Centric Health in May. Email “From September only VHI customers will be able to use VHI SwiftCare Clinics”. Feedback on “From September only VHI customers will be able to use VHI SwiftCare Clinics”.